After a bout in jail, singer Chris Brown has been released. Chris has been away for about two months, and left the Los Angeles County Jail this morning. Chris took to his twitter account to let his fans know he was home, and back to work. He thanked God as well, and snuck off of the social media site leaving fans to their excitement! 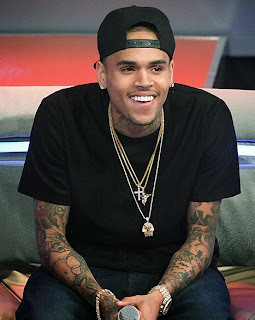 While away Chris saw much success with his latest single & collaborations. His single "Loyal" reached number one, and as usual you couldn't turn on a radio without hearing him. His presence was missed surely by friends and family, but radio listeners never got a chance to miss him. As fans and supporters send him encouraging words, we are right with them. Excited to get back to blogging positive news on this guy! Such a talent is needed in this industry. Welcome home Chris Brown. Kelly Clarkson Confirms Birth of BabyGirl!